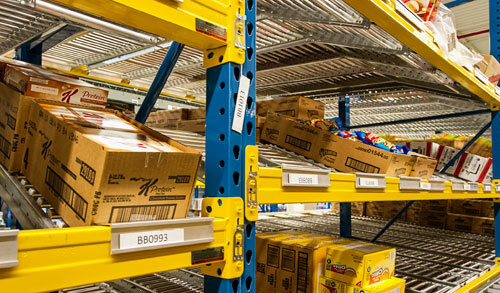 Carton flow racks help increase order picking, packing, and assembly speeds. We have guided hundreds of companies to high-density storage solutions that improve operations, reduce labor costs, and increase picking speeds. We partner with a diverse number of companies (Unex, Keneco, Mallard, Hytrol, Interroll, and others) to help our clients achieve their goals. To get started, contact our San Antonio office for fast, expert assistance on your case flow application. Please note that many custom solutions are available. If you don't see what you need, contact us. We specialize in creating exactly the right solution for your business. Many sizes/models and manufacturers are not listed. A listing of carton flow videos.